Green Colour Designer Palazzo Suit. Looking wonderful with attachment of Green Colour Georgette Fabric Unstitched Salwar Kameez. The lovely Embroidery,Digital Print,Printed work a substantial attribute of this attire. You're reviewing: Green Colour Designer Palazzo Suit. 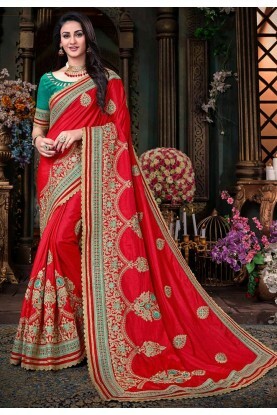 Red Color Indian Wedding Saree. Pink Color Indian Traditional Saree.